When Will it be Time to Bomb Iran? The nuclear experts I respect most, including Bruce Blair, of Global Zero, and David Albright, of the Institute for Science and International Security, both call a Middle East in which Iran possesses a small number of nuclear weapons a dangerously unstable place. Here is what Albright told me Monday about Iran’s particular challenges in an escalating confrontation — the no second-strike conundrum: “In a crisis, you don’t want to go first, but you don’t want to go second, either. It ends up in an unstable situation. Miscalculations can result in nuclear weapons being used. Iran may feel it doesn’t have second-strike capability and so would, in an escalating crisis, feel it has to use what it has first.” Iran, he explained, will be hampered, for many years after it crosses the nuclear threshold (assuming it is allowed to cross), by a small arsenal of comparatively modest bombs. The Israelis, on the other hand, have a much larger arsenal than the Iranians could hope for for many years, and much more varied and sophisticated delivery systems. That’s a nice turnaround. I am all for containment through diplomacy, although lukewarm on sanctions as they seem to punish the people for the actions of a government. But I think all the posturing about the possibility of a nuclear war in the middle east is fantasy. Let me absolutely clear: it is exceedingly unlikely Iran will initiate a nuclear strike — of any kind, either direct or via a terrorist proxy — while Israel retains a Second Strike capability. Why? Because doing so would necessitate the destruction of their civilisation. All of that Israeli rhetoric about never permitting a second holocaust isn’t merely rhetoric. It’s backed by the fiercest of passions, the fiercest of intellectual traditions, and the weight of six million dead Jews, slaughtered in Eastern Europe during World War 2. Israel must be like a mad dog, too dangerous to bother. Our armed forces, are not the thirtieth strongest in the world, but rather the second or third. We have the capability to take the world down with us. And I can assure you that that will happen before Israel goes under. That’s why Israel developed a Second Strike capability. Any middle eastern state that hits Israel will be obliterated by Israeli plutonium. It’s as simple as that, and Ahmadinejad knows it. Iran is not developing nuclear weapons as a tool of destruction. We have to look at the context; non-nuclear states like Libya and Iraq have been subject to Western-backed regime change, while far more brutal nuclear-armed dictatorships like North Korea have not. Simply, the Iranian theocracy is not pursuing nuclear arms to attack Israel, and thereby guarantee their destruction. They are pursuing nuclear arms to guarantee their survival. If Israel were a defenceless nation, neoconservative hawks who wish to see Washingtonian intervention might have a stronger case. If a nuclear-armed second-strike-capable Iran were threatening to obliterate a non-nuclear Israel, Israel could truly claim that there was an existential threat to her. But back in reality, that is just not true. Even Meir Dagan, the former head of Mossad recognises that Iran is not an existential threat to Israel. 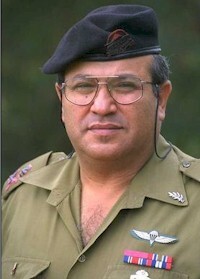 Upon leaving his post, Dagan publicly warned against Israel attacking Iran to stop it from acquiring nuclear weapons. In his latest comments, he said that if Israel attacks Iran, it will find itself at the centre of a regional war that would endanger the state’s existence. Dagan’s intervention is dangerous for Netanyahu because it comes from the right wing of Israeli opinion rather than the left, where the prime minister would expect criticism. Dagan has been in charge of aggressive Israeli actions abroad in recent years, that have included assassinations in Lebanon, Syria and Dubai and an air attack on a suspected nuclear reactor in Syria. He also criticised Israel’s failure to offer any initiative to resolve the conflict with the Palestinians . The absence of any workable plan, he said, will leave Israel in a dangerous and weak situation. This really echoes my thinking: the real threat to Israel, and America is not inaction on Iran, but excessive force. Iran poses little threat, but military intervention to effect regime change in Tehran runs the risk of huge and widespread blowback throughout the Muslim world: terrorism, guerrilla warfare, and deeper intergovernmental hostility, a breakdown of regional trade, and even a wider land war involving Eurasian nations who wish to protect Iran, including China and Russia. The real threat to world peace — and to Israel — is Western paranoia, leading to pre-emptive warfare. This entry was posted in International Relations and tagged council on foreign relations, iran, jeffrey goldberg, obama, reality. Bookmark the permalink. Yes, but Israel must be thinking that if left alone, in a few years, Iran could have an equal nuclear strike capability. Yes, but this is just paranoia. It has nothing to do with Iran’s capability. Unless Iran can somehow destroy Israel’s capacity for a Second Strike, it is a totally dead issue. Ahmadinejad and the Mullahs are not going to destroy their own nation to land a glancing blow on Israel. And given the lengths Israel have gone to to establish a Second Strike capability — facilities buried under hundreds of metres of rock, as well as submarines, as well as the fact that the US arsenal would surely act in a Second Strike capacity if all else failed — I give the likelihood of this as near to zero as we’re going to get. Well, exactly for your stated reasons they are paranoid. And they must be thinking that time can change many things and wash away many alliances they rely upon (or the power of their allies) while they will be left with a powerfully armed opponent. Maybe paranoid thinking, but that’s what paranoid people think. Well, that was a refreshingly sane read. As an aside, I’m always rather bemused that people don’t consider that Iran has already received a nuclear arms technology transfer from its allies. Open source intelligence networks certainly take that into consideration when running their scenarios. Not that Iran has a delivery system. (Or that it would even consider a military engagement with Israel, which really is utterly pointless when you think about it. That idea seems mostly rooted in Israel’s projections and bad dreams. Boogymen are handy tools, as US defense profiteers have long known.) I would imagine that Iran’s aspirations are far more cosmopolitan than a local skirmish, certainly involving a sophisticated level of global influence. Something I didn’t mention is that destroying or attempting to destroy the regime in Tehran is by far the likeliest thing to provoke them to set off any nuclear armaments they may have already obtained. At the same time, I think this is still very unlikely, because it would still probably mean a nuclear retaliation by Israel. But if they want Iran to start throwing nukes around, they’re going the right way about it. Pakistan has nuclear arms, it has been at odds with nuclear armed India about Kashmir, a few times on a verge of war. paradoxically, both never went too far prcisesly because awarnes of other side capabilities triggered insider opposition against escalation. Kashmir is a problem created by the British colonial power, since they are so keen on promoting democracy around the world they ought to broker a deal between India and Pakistan, perhaps getting the Kashmiris to vote which side they want to be ruled by. I know this will not happen because the various sides are ruled by hypocrites and self-promoters, but this would be the obvious thing to do. I am very intererested in psychology and this gives me a fresh perspective on Geopolitics.